Between 1576 and 1578 in the Eastern Arctic, Sir Martin Frobisher and his men mined rocks they believed to contain gold. They braved the rough seas of the harsh North Atlantic to reach distant Kodlunarn Island, and other locales around what is now Frobisher Bay on Baffin Island. They toiled under difficult conditions to extract and amass the tons of ore they hoped would bring great wealth and profit to Frobisher and to powerful financial backers that included Elizabeth I. Plans were even conceived to have miners overwinter, so that they could stockpile more of the “black ore.” On the dangerous voyage back to England, heavily laden ships brought the precious ore to Dartford, south of London, where a smelter had been specially constructed to coax a wealth of gold and silver from the stone. Their excitement soon turned to bitter disappointment, however, when assays proved the ore to be worthless. So what to do with more than 1,350 tons (1,136 tons in 1578 alone) of Arctic rock? Much of the now contemptible stone was used locally inside rubble walls. Some was used in the building of the western wall that still surrounds part of the Manor House site in Dartford, which was formerly used by Henry VIII. Artifacts directly related to Frobisher’s venture in the Canadian Arctic include small fragments of pottery, bits of brick, shreds of basketry and even carbonized peas. While these all bear witness to the determination of Frobisher and his men, they are hardly impressive. Peas brought by Frobisher and his men to Baffin Island. It was with this in mind that I emailed the Dartford Borough Museum, asking whether one of Frobisher’s stones might be available for transfer to the Canadian Museum of History for possible inclusion in its new Canadian History Hall. The response from the Dartford Museum’s curator, Dr. Mike Still, was positive and immediate. He eventually identified a sizable piece of “black ore” that had been found in 1982, during archaeological testing of the Manor House site. The provenance was good, and there was little doubt as to the nature of the stone. 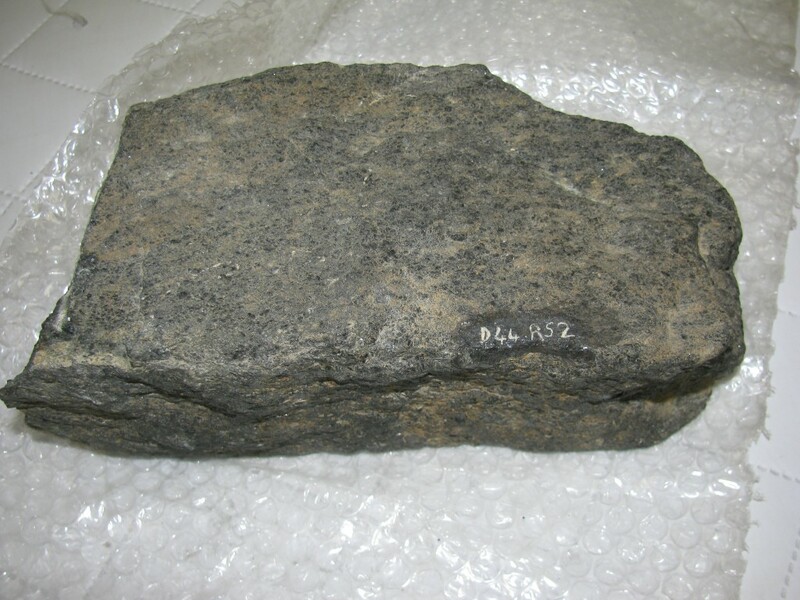 The Frobisher stone returns home to Canada more than 400 years after it was mined by Frobisher and his men. Thanks to Dr. Still’s diligence, permission to transfer the stone was obtained from Terry Young. Mr. Young is general manager of a company that is part of J & E Hall Ltd., which occupied the Manor House from 1785 until the early 21st century. 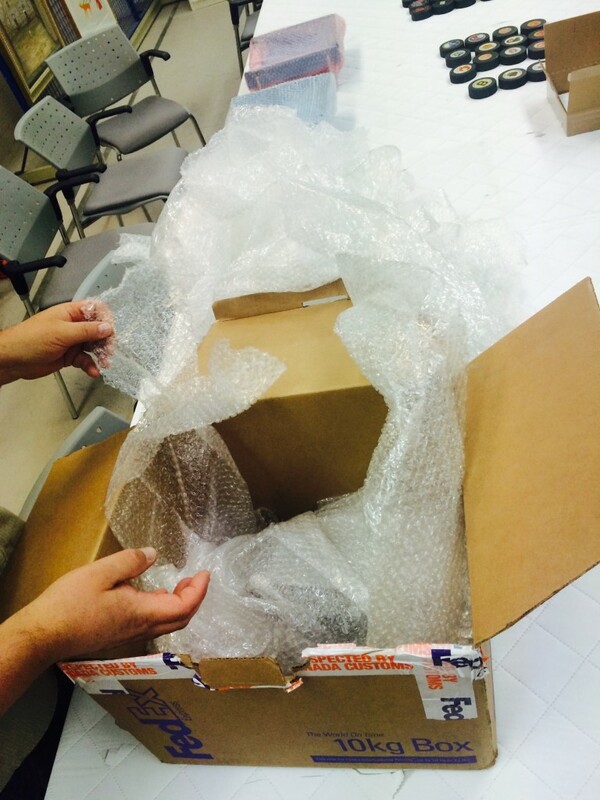 The Frobisher stone and packaging material used during its journey home to Canada. 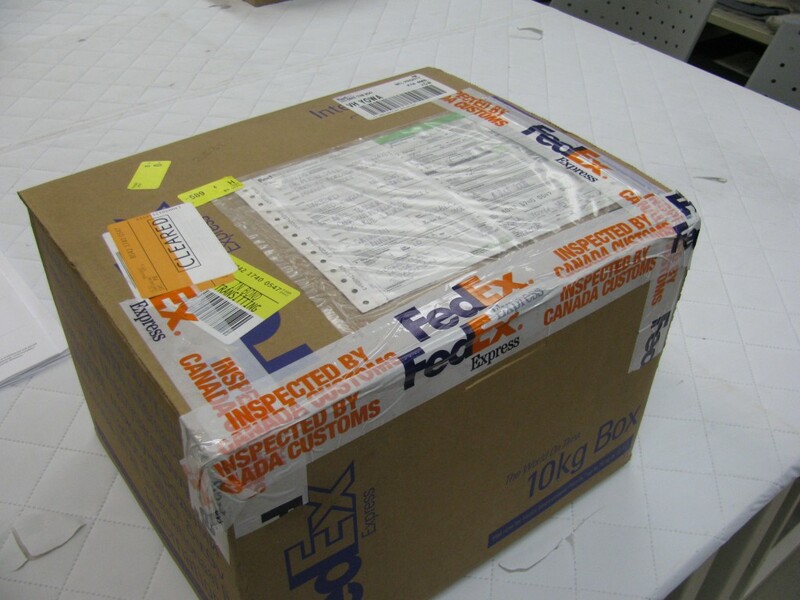 As this piece of Canadian stone made its way home, the FedEx online tracking service provided a minute-by-minute account of its travels from Dartford to the Canadian Museum of History, via Memphis, Tennessee and Cheektowaga, New York. The first time this stone crossed the ocean, it spent weeks in the hold of a wooden ship. This time it took hours in the cargo hold of a jet plane. What would Sir Martin Frobisher say?